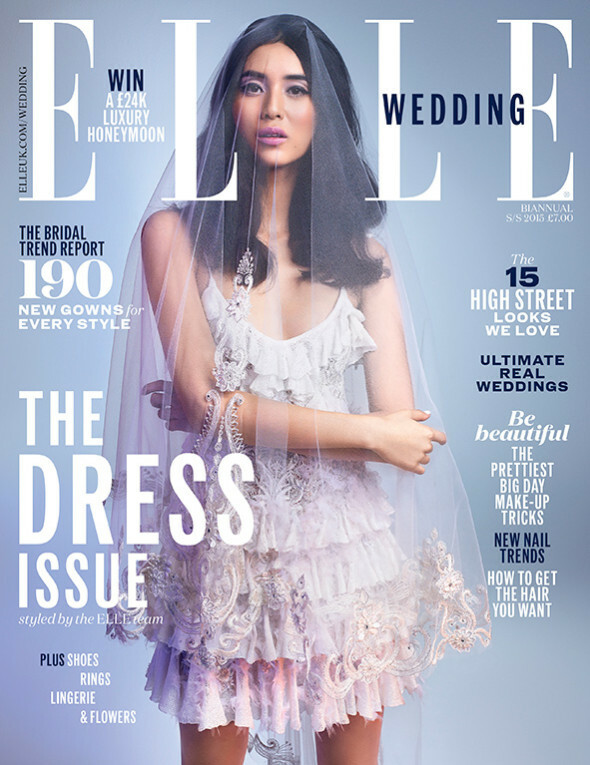 Rockers are hot on romance – as this fabulous shoot for Elle Wedding magazine proves. Planet Sputnik guys Steve, Troy, Mark and Robin donned their coolest vintage bike gear for the rockabilly-themed shoot by renowned style photographer David Burton, which appeared in the Spring/Summer 2015 issue of the leading bridal publication. Beautiful model Anna Lundgaard was captured in these images full of contrasts and cool, with quiffs, black leather and denim proving the perfect counterpoint to the satin, silk and lace dresses. The shoot took place at East London’s Bethnal Green Working Men’s Club. Want the Rocker look? Try Lewis Leathers, La Rocka 79 and Pride & Clarke Ltd for brand new custom-fits made to authentic vintage patterns, or Hi-Star Classics for 1950s and ’60s originals. All photography copyright Elle Wedding/David Burton.